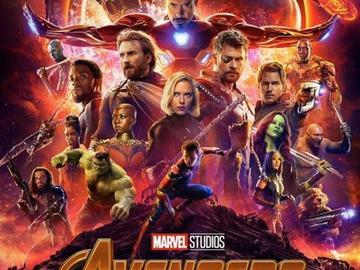 See the new Marvel comic book movie: Avengers-Infinity War with Black Panther as a big double feature! PLEASE PRINT THIS TICKET AND BRING IT TO THE THEATRE BOX OFFICE. No alcoholic beverages permitted; smoking in designated areas only; outside food brought into the theatre requires a $5 food permit purchase. All studio and theatre policies apply. No screen switching.